Any major decay/trauma/wear of the tooth that results in invasion of the deepest section of a tooth consisting of nerves and blood vessels, nothing solid (filling) can be placed over it and as the infection spreads into the roots; the blood and nerve tissues need to be taken out along with the infection. This process is termed as Root canal. 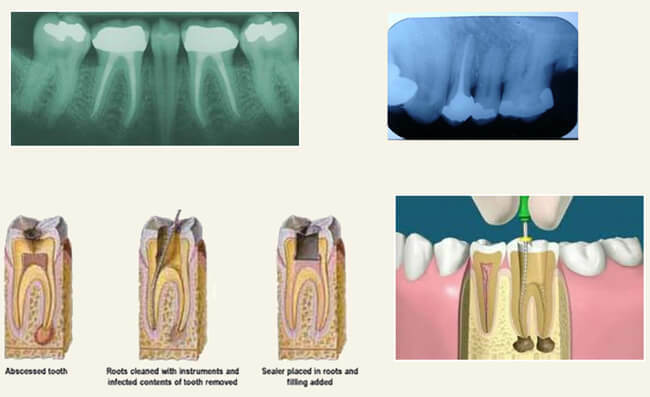 This involves removal of entire infection from within the tooth; all canals in root are cleaned and medicament is placed. The tooth is then sealed to prevent routes of re-infection after RCT. The seal is complete with the placement of a crown (Cap) preventing seepage/ breakage of root canal filling and reinfection. After RCT is performed, post removal of all infection; the tooth becomes weak due to the loss of tooth structure. This is why post RCT; placement of a crown is extremely important for protecting the tooth. Placing a crown aids the tooth becoming strong and capable to withstand forces as the normal tooth. Now-a-days even badly broken teeth can be saved by RCT and rebuilding with metal or white fiber post n core followed by bonded crowns as long as 1-2 mm of tooth is visible above the gums. Is treatment painful? 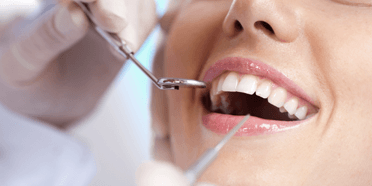 As, root canals are done under local anesthesia, it is a painless procedure. Moreover; with the rotary machines available today; the procedure is so much more faster than doing the same thing with hand filing. How long is the treatment? That depends on the degree of infection. However; now a days root-canal along with the crown can be completed in 2/3 sittings maximum in more than 90% of the cases and often within a week’s time. Only in cases of swelling or severe pain /infection;the number of sittings may increase. 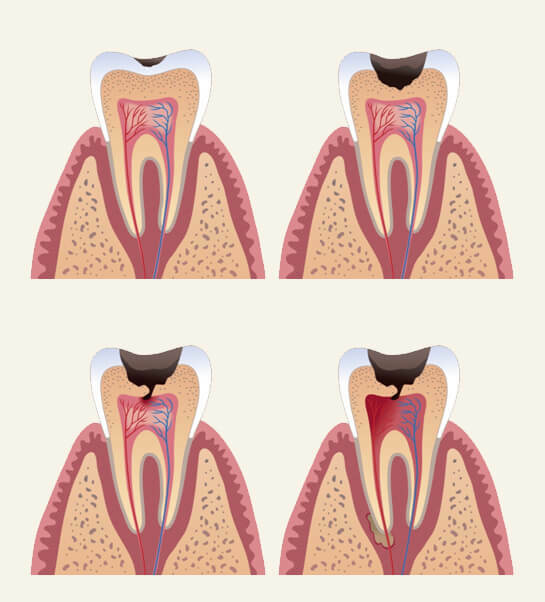 To what stage can a tooth be treated with root canal treatment? 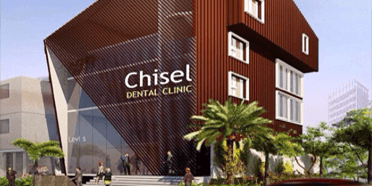 Unless the tooth is split in two or as long as atleast one mm of tooth is visible all around, the tooth can be treated by Root Canal Treatment. In such cases the tooth is reinforced with additional structure called Post and core,that acts as foundation of the tooth to withstand chewing forces. The post and core may be of metal or white colored fiber posts with composite core build up . The prognosis of such teeth depend on their position in the mouth and would be variable. Is not removal of the tooth a simpler option? Saving the tooth helps keep the surrounding bone intact and opposing teeth in ideal position thus preserving the adjacent teeth from excesss loading and collateral damage … thus maintaining the overall longevity of all teeth and minimizing future dental and gum diseases. How successful are Root Canal Treatments? As a result of the advanced materials available to perform the procedures today such as Apex locators and digital x-rays to ensure accuracy; rotary instruments and fiber posts with core build up materials to improve the strength of tooth and CAD-CAM precision crowns bonded chemically to the tooth; root canals have a success rate of more than 95%.